Australia Archives - Africa M.E. 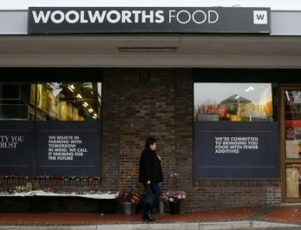 JOHANNESBURG (Reuters) – South African retailer Woolworths Holdings Ltd posted a 15 percent fall in half-year profit on Thursday hurt by a hefty write-down charge on the value of its David Jones business in Australia and tough trading conditions in its home market and Australia. Woolworths paid a big premium to bulk up in Australia via David Jones as part of Chief Executive Ion Moir’s ambitions to turn the firm into a leading southern hemisphere retailer, but the delayed execution of certain initiatives aimed at transforming David Jones is threatening that ambition. “A challenging market, along with some mistakes in the implementation of new systems and ranges, has had an impact on our clothing businesses both in South Africa and Australia,” Moir said in a statement. Australia has recorded soft retail sales growth for months as cut-throat competition, relentless price discounts and online competition sap demand for brick-and-mortar shopping. While in South Africa retailers have struggled to grow earnings as weak economic growth and clothing markdowns by competitors hit sales. Woolworths, which sells groceries, food and homeware, said headline earnings per share (HEPS) fell to 206.3 South African cents in the six months to Dec. 24, from 242.6 cents a year earlier, while earnings per share turned into a loss of 505.9 cents on the David Jones impairment. Woolworths booked a non-cash impairment charge of A$712.5 million ($556.04 million) against the carrying value of David Jones as a result of the cyclical downturn and structural changes that have hurt performance across the Australian retail sector. The retailer, which paid 21.4 billion rand ($1.84 billion) for David Jones in 2014, said the impact of these changes have been exacerbated by poor or delayed execution in certain key initiatives in David Jones. David Jones sales were 3.3 percent lower on a comparable basis, while comparable store sales were 3.4 percent lower in Woolworths South Africa, hurt by underperformance in Woolworths Fashion, Beauty and Home. The group declared an interim cash dividend of 108.5 cents, an 18.4 percent decrease on the prior period. “Encouragingly, we are seeing signs of recovery now, with political change in South Africa expected to lead to increased consumer confidence,” Moir said. South Africa’s new president, Cyril Ramaphosa, was sworn in as head of state last Thursday after his scandal-plagued predecessor Jacob Zuma resigned on orders of the ruling African National Congress. JOHANNESBURG (Reuters) – Kumba Iron Ore has told South Africa’s National Union of Mineworkers (NUM) it will issue lay-off notices this year if low prices persist for the steel-making ingredient, the union’s general secretary said on Wednesday. “The price has put them in dire straights and there is a prospect of them issuing a Section 189 notice at Sishen mine,” NUM General Secretary David Sipunzi told Reuters. He was referring to the regulatory process South African employers must follow before they lay off staff. “They have been trying to sensitise us to this possibility. If the price remains like this for a few months they will have no choice but to issue a Section 189,” he said. Officials from Kumba were not immediately available for comment. 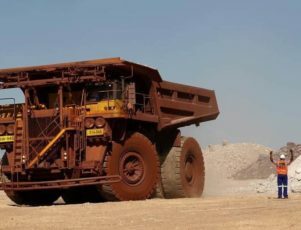 The group has said it plans to reconfigure its Sishen mine, the largest iron ore operation in Africa, and was targeting 2016 production there of 26 million tonnes, down from a previous guidance of 36 million tonnes. Lay-offs are a politically thorny issue in South Africa, where the jobless rate is around 25 percent and local elections are expected this year. The NUM is also a key political ally of the ruling African National Congress (ANC). Sipunzi said he expected to see more lay-off notices this year from other sectors but the union wanted to work with companies to find ways to minimise job cuts. In line with other commodities, prices for iron ore have been sliding due to oversupply and and slowing economic growth in China, the world’s bigest metals consumer. Mining giant BHP Billiton said on Wednesday that it saw no recovery in iron ore or coal prices in the next few years. 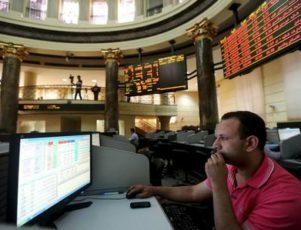 CAIRO (Reuters) – The Egyptian stock exchange will allow ten companies to delay their initial public offerings due to global market conditions, Mohamed Omran, the head of the bourse, told state news agency MENA on Tuesday. The Egyptian exchange usually requires newly listed companies to hold an initial public offering within six months, but this period can be extended if there are good reasons, such as volatile global markets. Omran told Reuters in November that about a dozen companies had registered a new listing on the Egyptian market in 2015, but only half of these had proceeded with an initial share issue. 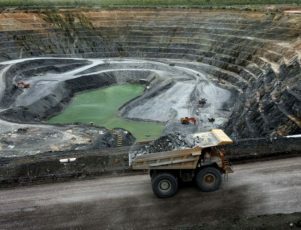 GABORONE (Reuters) – Australian firm A-Cap Resources has applied for a licence to open what would be Botswana’s first uranium mine with a capital expenditure of $351 million, the firm said on Friday. Botswana is estimated to hold around 1.04 billion tonnes in uranium reserves, in the central part of the country, and the government has issued prospecting licenses in the last decade although no production has taken place. The exploration firm said results of technical studies showed the project would produce up to 3.75 million pounds of the ore in the first five years of its projected 18-year life. The project was ideally located near roads, a railway network and power supply, the company said a statement, and was also on the site of one of the largest uranium deposits in the Africa, with estimated deposits of 261 million pounds. A resurgent uranium price meant the project, where explorations started in 2006, was viable, the firm said. Global uranium production had stalled recently due to depressed prices, curtailing exploration activities and the opening of new mines. Spot uranium prices slumped over 12 percent in the past three quarters before bouncing back to a 5 month-high of $37.25 per pound in September.